September 20, 2017 August 24, 2017 / Bonnie Maly, Esq. 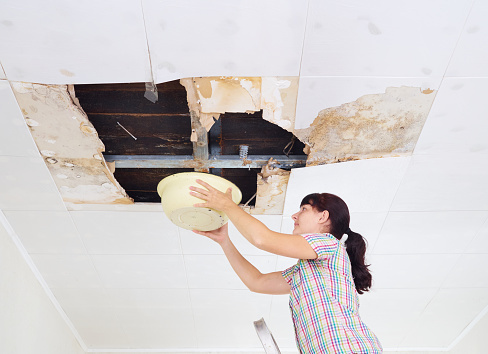 When a landlord severely neglects maintenance issues or another tenant’s behavior causes a nuisance, California law gives tenants several ways to get relief. Tenants dealing with habitability violations or nuisances can bring an affirmative suit or assert some theories defensively as a setoff in an eviction action by the landlord against the tenant for nonpayment of rent. How a tenant’s attorney chooses the theory to assert, either affirmatively or defensively, is a complicated process. Some theories require an abatement order from a local code enforcement agency; some provide for attorney fees; some allow punitive damages or emotional distress damages; and some are statutory (as others are common law or contractual) causes of action. __ Statutory action for damages and abatement, including actual damages, statutory damages, and attorney fees. Applies not only to physical conditions but also to “any nuisance.” Remedy is available only if certain prerequisites are met, including a prelitigation notice to the landlord from a local housing code enforcement agency. __ Contract action for damages resulting from breach of the warranty of habitability. This may be asserted whether or not the landlord had reasonable time to repair if the landlord knew of the conditions. If the lease contains an attorney fee clause for either party, the party who prevails may recover fees. __ Tort action for damages resulting from breach of the warranty of habitability, including punitive damages. This may be asserted in extreme situations. __ Tort action for damages resulting from negligence. __ Breach of the implied covenant of quiet enjoyment. Tenant can also sue in tort under a related theory. __ Constructive eviction. This is a common law contract cause of action. __ Nuisance (private or public) action for damages, punitive damages, and injunctive relief. This can include the eviction of other tenants (who are making the premises uninhabitable) or the abatement of the nuisance. Available whether the nuisance is caused by physical conditions of the building or conduct of other tenants or the landlord. __ Remedies under local ordinances for nuisance. These remedies are available for failure to provide habitable premises, or for wrongful eviction if the tenant prevails on a habitability defense in an unlawful detainer action (e.g., Oakland Municipal Code & San Francisco Residential Rent Stabilization and Arbitration Ordinance). __ Abatement of nuisance under the Code of Civil Procedure. __ Repair and deduct remedy under the Civil Code. This is available when the premises is untenantable, as defined; the tenant must first give the landlord a reasonable time to repair after giving notice. __ Relief under California’s unfair competition law. Under this law, the injured party may seek injunctive and other relief based on violation of any statute or regulation, but remedies are more limited than other theories. __ Civil action under the Racketeer Influenced and Corrupt Organizations Act. This is available if the landlord’s conduct is unusually fraudulent or extortionate or in slumlord situations. 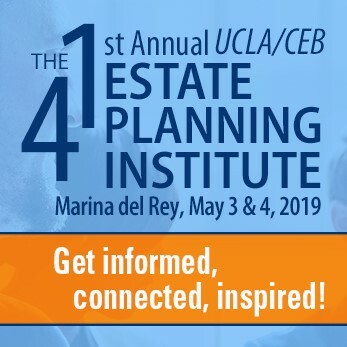 All these theories are fully discussed, with pleading forms, in CEB’s California Landlord-Tenant Practice, chaps 3, 6, and 10. Excellent post! I represent both landlords and tenants and this checklist is spot on!